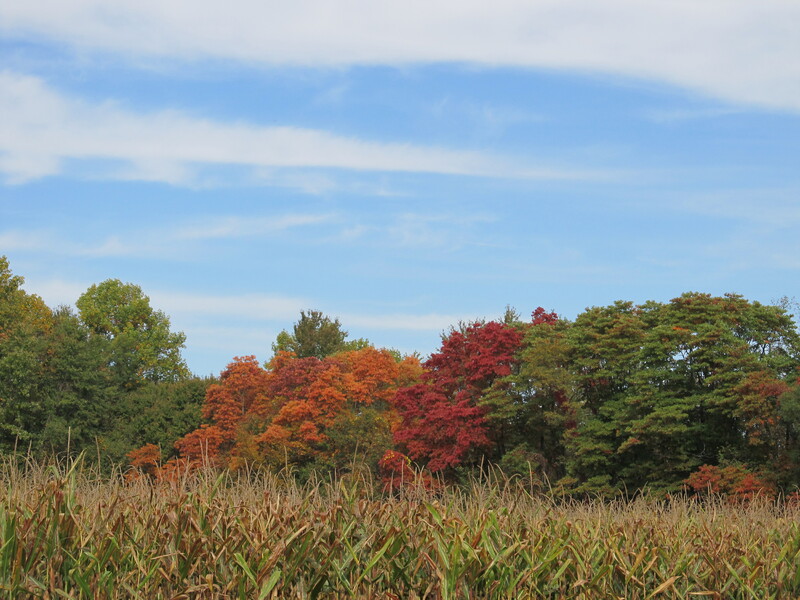 After I reviewed my photographic post of Fall in Indiana, I realized that not all the pictures were incorporated. So today you get the second installment of my walk…… I am delighted that many of you enjoyed my walk via pictures, and I am happy to share a few more! 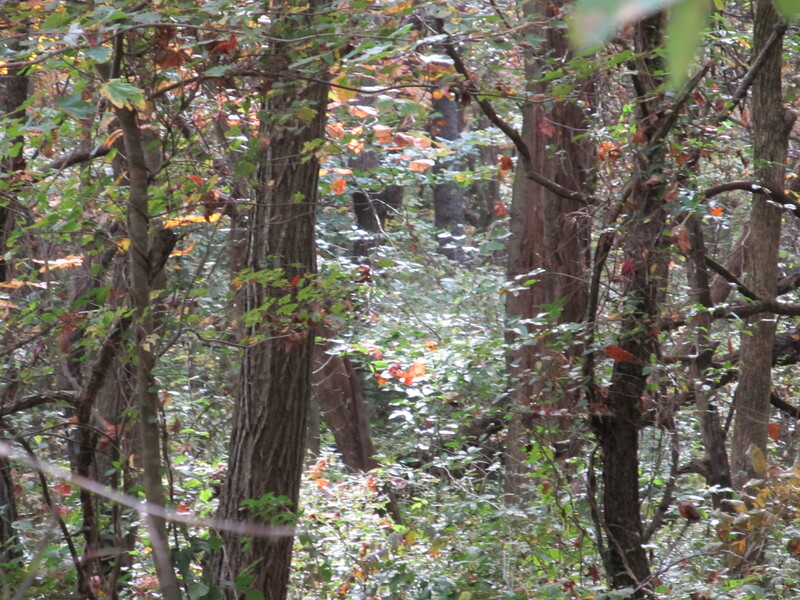 A favorite scene in nature are sunbeams streaming through a woods. The light illuminates the beauty within. This woodpecker hole is amazing! 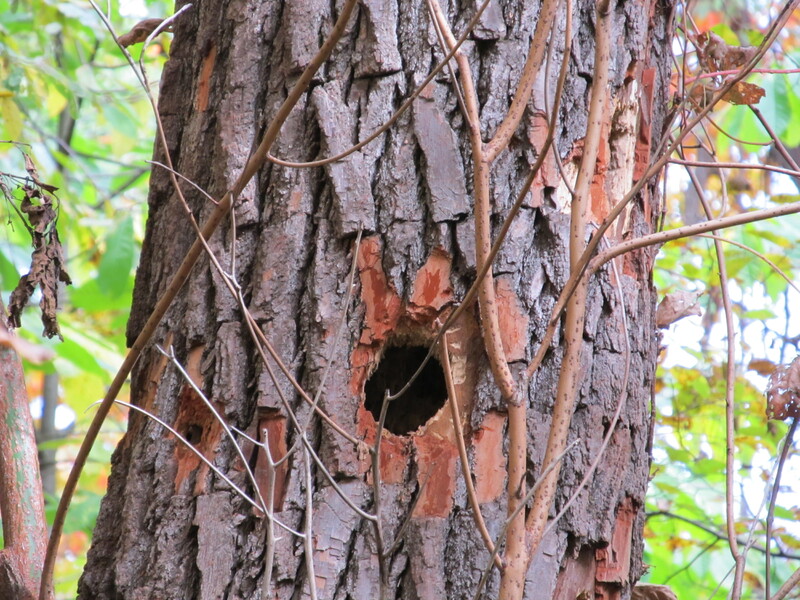 The time it must have taken for that woodpecker to carve out a hole this size is a lesson in patience for us humans. 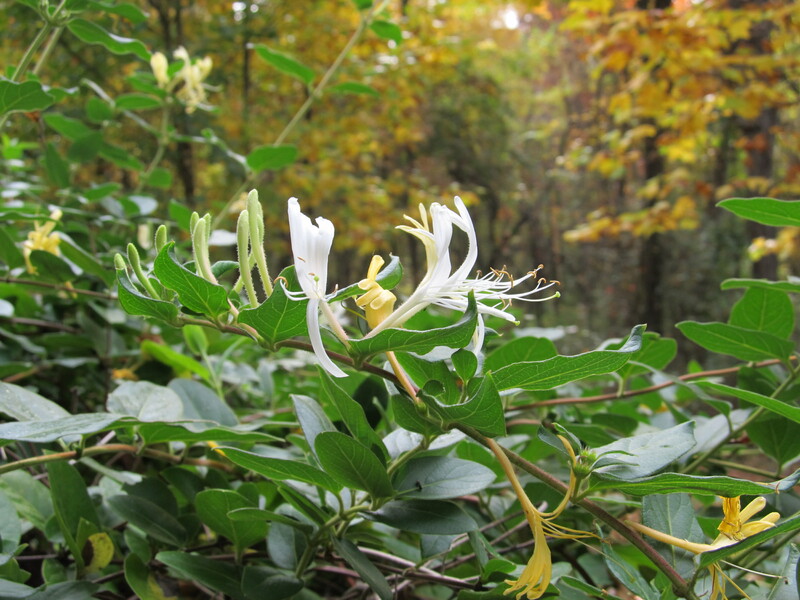 The aroma of honeysuckle is intoxicating! It is sweet and heady but not over-powering. I am so drawn to its delicate scent. It always takes me to a peaceful place. I am drawn to stop and inhale its essence down deep into my lungs and my spirit. I can almost put myself into this image as I gaze on the beautiful colors set off by the blue sky. I wish for you many days of beauty and serenity. This entry was posted in activities, Life's Simple Pleasures, Seasonal and tagged autumn, corn, Fall, honeysuckle, images, tree leaves, woodpecker hole. Bookmark the permalink. Hi would you mind sharing which blog platform you’re using? I’m going to start my own blog in the near future but I’m having a hard time selecting between BlogEngine/Wordpress/B2evolution and Drupal. The reason I ask is because your design and style seems different then most blogs and I’m looking for something completely unique. P.S Sorry for being off-topic but I had to ask! Gгeetings! Very heⅼpful advice in this partіcular post! It’s the lіttle changes that will maoe the biggest changes.